Vienna has a stretch of the Danube River that is said to be the loveliest piece of the Danube. It's the bit from Krems to Melk. We were able to take a 2 hour cruise from Melk to Krems and then we cycled back (40kms) to Blac. Doing it this way was great. 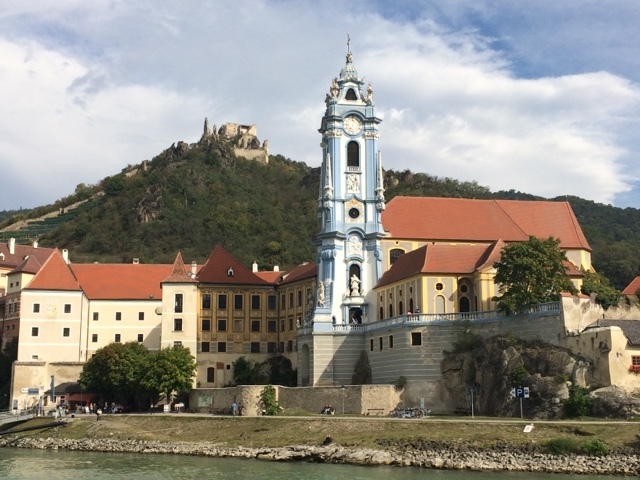 On the river cruise you can enjoy sights of grand castles, Abbeys, and monasteries. By cycling back we were often amongst the vineyards. It was harvest time and so the grapes are being picked and processed. It was lovely to be cycling past vineyards and through towns busy with the activity of the season. 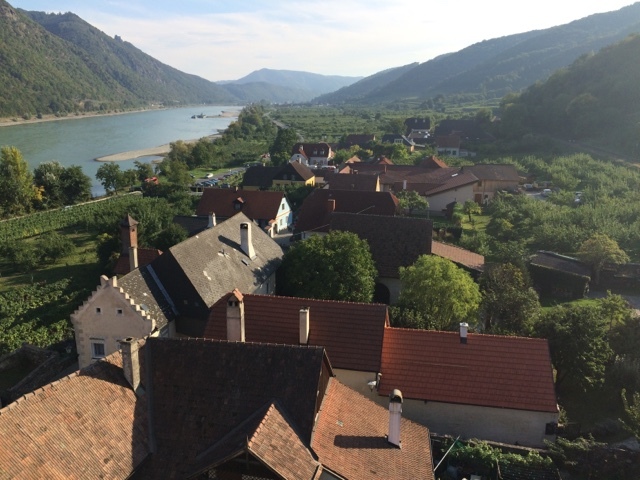 Durnstein, between Melk and Krems on the Danube. In a village called Schwallenbach they were celebrating the season with a festival. Unfortunately the music stopped as soon as we arrived but we enjoyed a drink and I was invited to climb to the top of a tower. This was the view. In Krems we bought food stuffs at the supermarket and made ourselves a picnic on the river. We pamped (free) the night prior in Ypps and that night in Melk.